Using a folding bed for car camping is a great way to bring a bit of home comfort to the camping environment. Anyone who has ever gone car camping knows that there is definitely a science to getting a good night’s sleep. This wonderfully detailed tutorial has taken much of the guess work out of finding that good night. 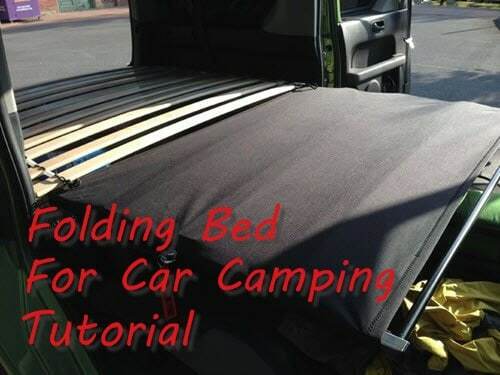 It is thoroughly designed to guide you through the process of creating a folding bed for car camping so that it can fit into the back of a conversion car for comfortable camping. The tutorial offers step-by-step directions, helpful photos, detailed supply list, and suggestions for packaging the project for easy access and use.